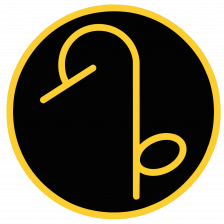 Today is the 56th (I think) birthday of Phil Markowski. 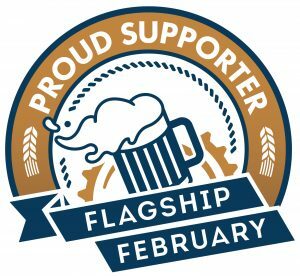 Markowski started his career with New England Brewing in Norwalk, Connecticut, but made a name for himself at Southampton Publick House on Long Island. 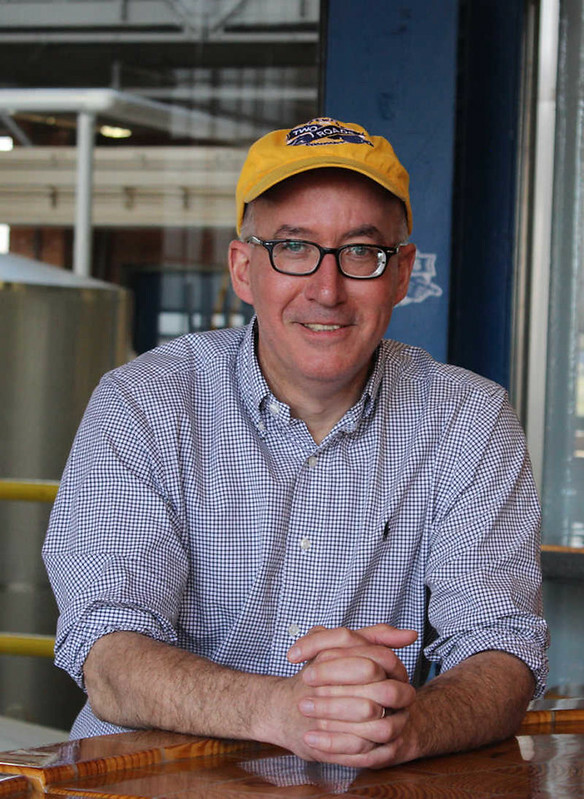 In 2012, he moved back to Connecticut and opened his own place in Stamford, Two Roads Brewing. 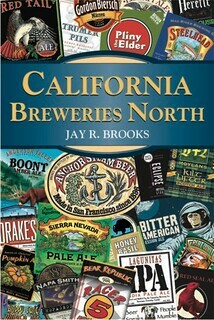 Phil’s an amazing brewer and even wrote the book on Farmhouse Ales. 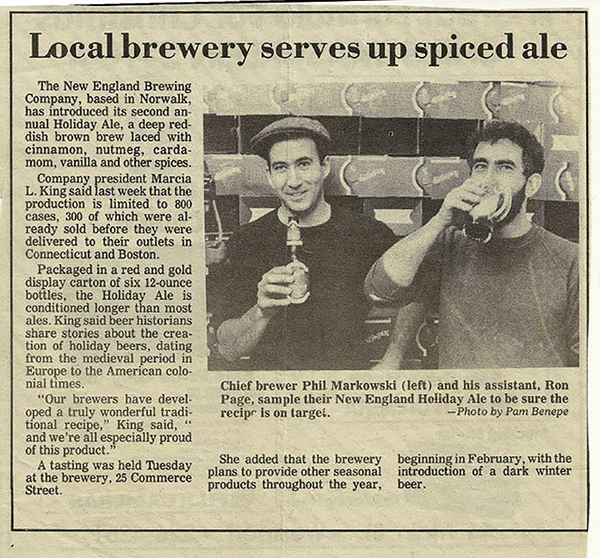 Back in 2008, Phil was also involved in reformulating Primo when it was launched again by Pabst. I first met Phil during my Celebrator days, have run into him more recently since. He’s a rock star brewer that couldn’t be more low key. Join me in wishing Phil a very happy birthday. 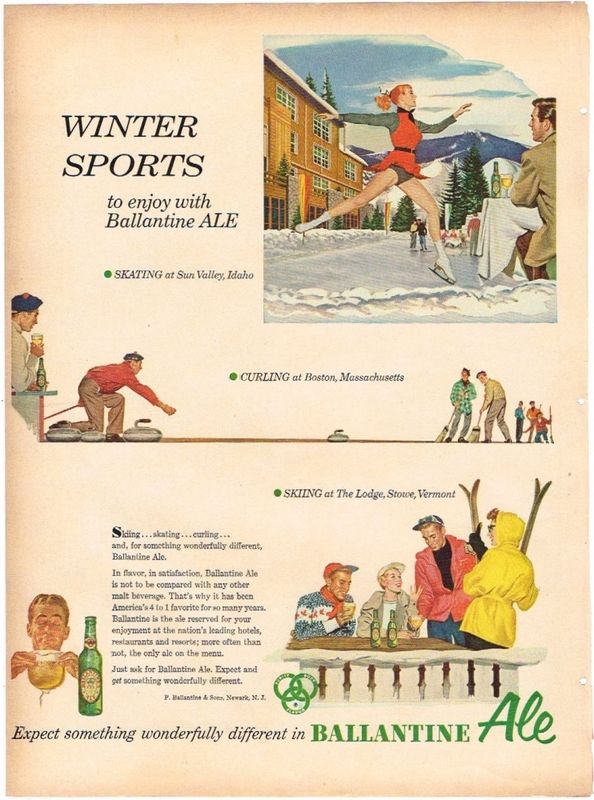 A promotional shot by the brewery. 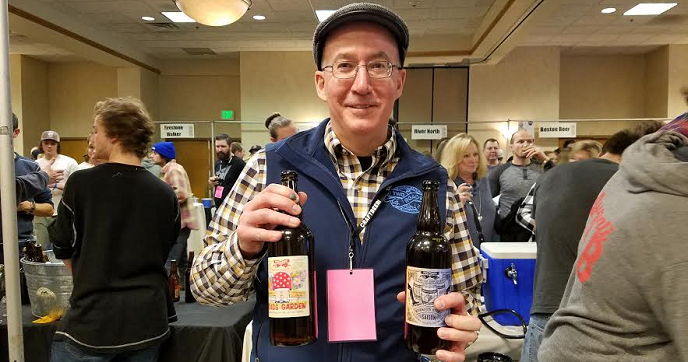 Showing off Two Roads beers. 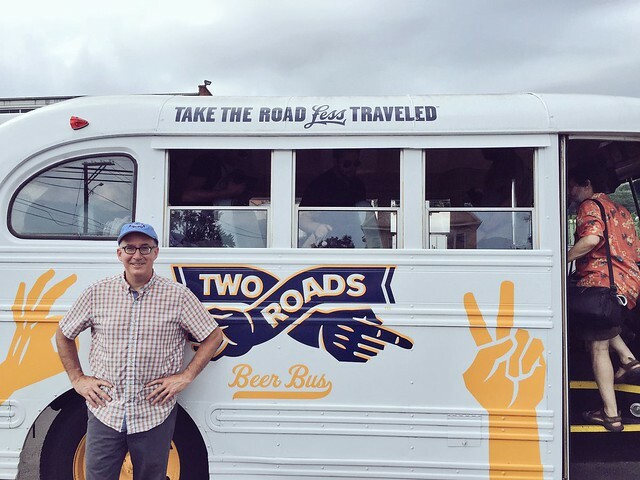 Phil by the Two Roads bus. 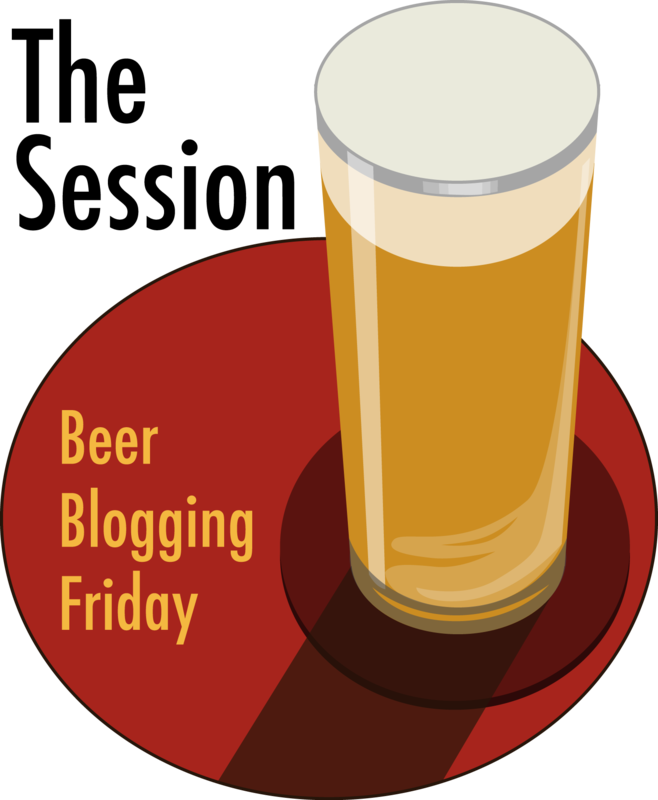 Today is the 50th birthday — the Big 5-O — of Julia Herz, craft beer program director for the Brewers Association. 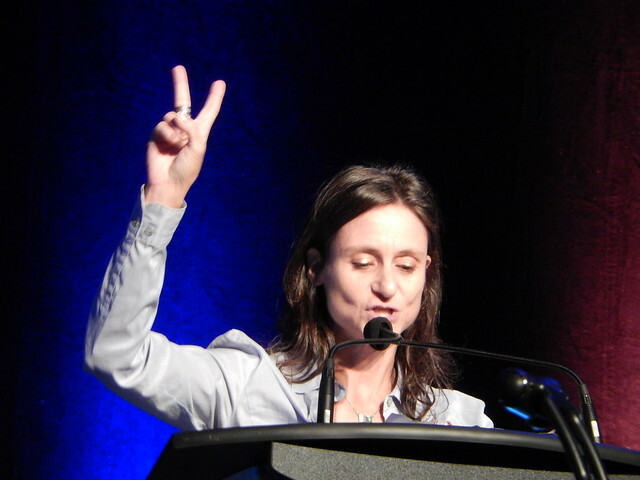 She worked for big media like CNN before turning her attention to craft beer in 2007, when she joined the organization. 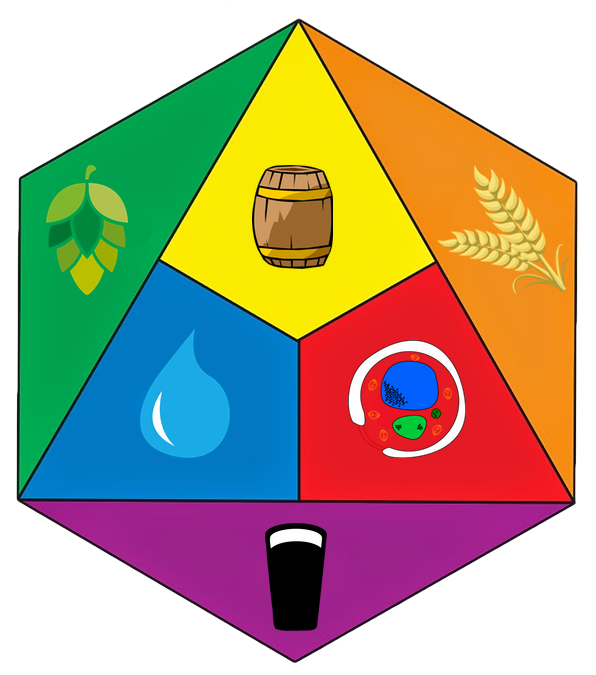 Julia was an awesome addition to the BA and was an integral part of its growth and the positive attention that beer is starting to get from the media at large, plus she’s a pleasure to work with. Join me in wishing Julia a very happy birthday. 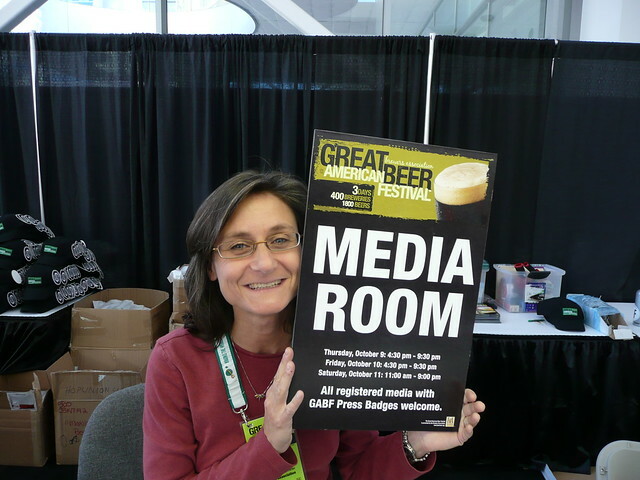 Hawking the media at GABF in 2008. Julia with Erin Fay Glass at CBC in San Francisco in 2011. 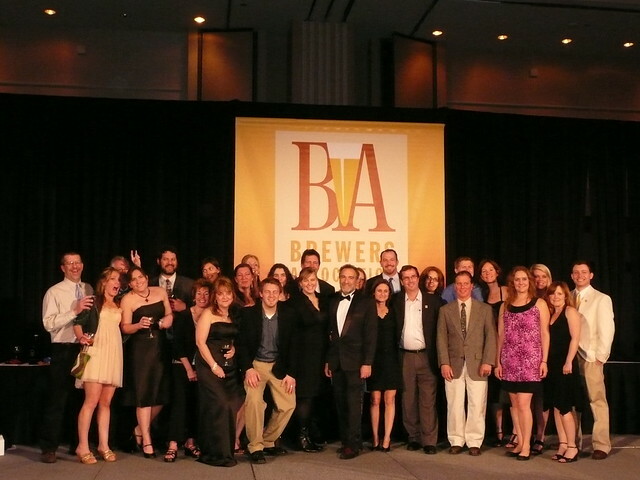 The BA staff photo from the World Beer Cup dinner in Chicago in 2010. Julia’s near the center in the front row, just to the right of Charlie Papazian (in the tuxedo).